The aorta is the major artery that transports blood from the heart to the rest of the body. The sections of the aorta are named according to its trajectory from the heart: the “ascending aorta”, the “arch” and the “descending aorta”. An aortic aneurysm is a condition affecting the aorta where there is a weakening of the muscles within the aortic walls, causing it to widen and expand. An aortic dissection is a life-threatening condition in which a small tear causes the walls of the aorta to split apart. 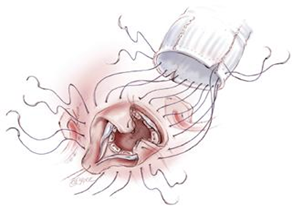 Both these conditions may require urgent surgery to prevent rupture of the walls. 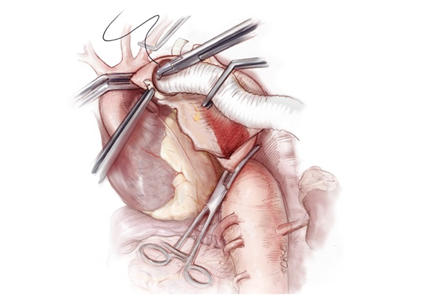 Surgery on the aortic arch is a highly complex operation. 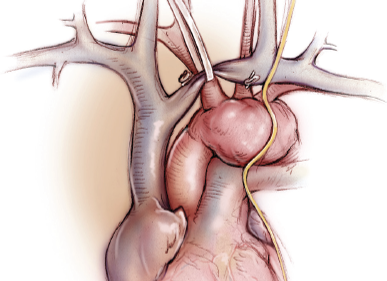 It is an open-heart operation that involves cooling the body to hypothermic temperatures, deliberately stopping the heart pumping (circulatory arrest) and connecting it to a cardio-pulmonary bypass machine. 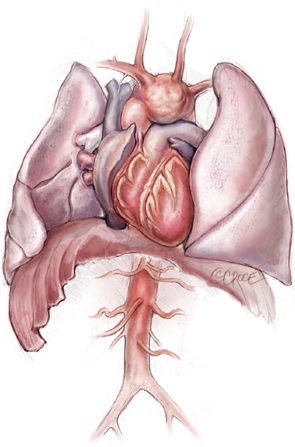 The damaged aorta is then reconstructed using a synthetic tube or graft.